Whether you drive a car, van, lorry or motorcycle, it is vital that you are aware of your rights and responsibilities in law. The ETA has been providing British motorists with breakdown cover for over 24 years. With the help of leading law firm Shoosmiths Access Legal, we have put together the following advice about driving and the law. If I am involved in a collision, is my car insurance invalid if I my MOT has lapsed? What happens if I take out my insurance with my daughter as a named driver when she is, in fact, the main driver? If a passenger in my car opens their door into the path of another vehicle, who is legally liable? I want to car share – is my insurance still valid if my passengers make a financial contribution towards my costs? What is the law for children and seatbelts? How can I get compensation for a defective car I have bought from a dealer? What rights do I have if I buy a used car from a private individual? Do the police need to have a reason to stop me in my car? Is there a time limit for prosecutions? If I am over the drink drive limit and sleep in my car, can I still be prosecuted? Does the law allow me to cross double white lines in the centre of the road to overtake a bicycle? Can I be prosecuted for driving without insurance if I thought my employer had insured me? What is a vehicle defect rectification notice? What is a fixed penalty notice (FPN)? Can I be prosecuted for using my car’s fog lights when weather conditions are clear? My car insurance policy states that if I am involved in a collision, I must not admit liability. If it is clearly my fault isn’t the right thing to say sorry and admit liability – if I do this, am I jeopardising my cover? There was a high-profile personal injury case recently in which Churchill appealed a High Court award for damages (their customer has run over a girl as she walked on a grass verge and they argued she was partly accountable) – Can I influence the way my insurer acts on my behalf? In other words, had I been the driver in this case, could I have insisted that my insurer not behave in this way? Am I obliged to stop my car for an unmarked police vehicle? Section 47 of the Road Traffic Act 1988 makes it an offence to drive without a valid MOT certificate. In most cases, due to the illegal nature of driving without MOT, it will invalidate your insurance although this is something you should check within your policy documents. Whilst it is likely that the insurer may cease to provide cover for their policyholder when an MOT has lapsed, they will still be on record as RTA Insurer and will therefore meet any third party claims. Doing such a thing is commonly referred to as ‘fronting’ and is illegal. Therefore, not only can ‘fronting’ invalidate your insurance, it can also result in criminal consequences such as a driving ban, fine and points on your license as you would be committing insurance fraud by doing so. In addition to this, it is highly likely that your daughter would be subject to greatly increased insurance premiums as a result of having previous convictions. Who is at fault in this situation really depends on the circumstances, although it is generally assumed that the person who hit the door is at fault as it can be argued that they were driving without ‘due care and attention’ if they didn’t see it in enough time to stop. However, the onus also sits on the driver or passenger in the car to make sure that the area around their car is clear before they open any doors, whether it be to get out of the car or put shopping, or a child inside. Section 239 of the Highway Code states that you should ensure that you do not hit anyone when you open your car door and that you should check carefully for cyclists or other road users/pedestrians before you do so. So if you open your car door without looking and a passing driver hits it, then it is likely to be you that will take the blame for the collision. However if you open your car door with no traffic around and another driver comes along and hits it, then you can argue that they were not driving with due care and attention because they didn’t see the door open in time to stop. Drivers are expected to apply hazard perception techniques when they are driving and so should be on the lookout for dangerous scenarios, such as animals in the road, pedestrians and open car doors. The difficulty comes with proving what happened. If you hit another driver’s door, or you are the one who finds your vehicle has been hit, then the best thing you can do is try to find an independent witness who saw what happened. Without witnesses, it will be difficult to prove that the door wasn’t opened onto the passing car, thus causing the collision. Although not always possible, the best thing you can do to avoid your car door being hit by another car is to make sure that you get in and out of your car, and put things in and out of it from the off-roadside doors, rather than the side that opens out onto the road. Remember to look out for pedestrians though. Insurance policies usually specify that they prohibit ‘use for hire or reward’, however, the Association of British insurers have confirmed that your insurance cover will not be affected if you car share and receive a financial contribution towards your journey. This contribution can include fuel, wear and tear of vehicle and associated costs). However, the lifts must be given in a vehicle with fewer than nine seats. There are various rules regarding children and the use of seatbelts for safety in vehicles. If the child is under three then the correct child restraint MUST be used. When a child reaches their 3rd birthday, up until their 12th birthday (or 1.35 metres in height, whichever comes first), the correct child restraint must be used, or if this is not available an adult seatbelt MUST be used. Children older than 12, MUST wear an adult seatbelt. It is the responsibility of the driver to ensure that children under 14 are wearing their seatbelt or correct restraint. If you have bought a defective vehicle from a dealer, they have a duty to replace, refund or repair the car but there is no direct right to compensation. If a dealer offers compensation, this is regarded as a goodwill gesture. There are certain circumstances where the duty to replace, refund or repair does not apply, for example, if the dealer made you aware of the defect and the extent of the defect before you purchased the vehicle, or if you inspected the vehicle personally and missed an obvious defect such as dents or rusty external bodywork. To help reduce the risks associated with buying a secondhand car, we have teamed up with DEKRA Vehicle Inspections to help you make an informed decision when buying a second hand car. If you purchase a car from a private individual you do not have the same rights as if purchasing from a certified dealer or company. Unfortunately, unless the car you receive is not as described you are not entitled to a refund, or to request the vehicle is repaired or replaced even if you later discover the car is faulty. Yes. The Police and Criminal Evidence Act (PACE) and the PACE codes of practice provide the core framework of police powers and safeguards around stop and search by police officers to search a person or a vehicle without first making an arrest. The police can stop for routine checks and the police will require the driver to provide their name, date of birth, driving licence and insurance details. The police cannot stop a vehicle for a random breath test however if the develop reasonable suspicion that the person has consumed alcohol then they will be asked to provide a sample. Failure to provide any of this information is an offence. Yes. Many road traffic offences are purely summary offences and in most cases proceedings are taken by way of the accused attending the Magistrates Court after receiving an arrest warrant or summons. Hence time limits are of particular significance since for various reasons substantial delay may occur before it is decided to institute proceedings. It is important that this is considered in case further charges need to be added. 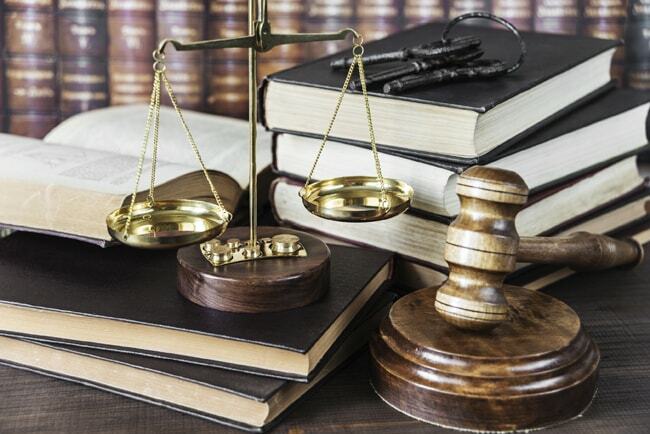 Section 127 Magistrates’ Court Act 1980 states that for all summary offences the information must be presented within six calendar months of the commission of the offence, except where any other Act expressly provides otherwise. Yes. The Road Traffic Act 1988 s.4(2) It is an offence for a person to be in charge of a motor vehicle on a road or other public place with excess alcohol in his breath or in blood or urine as evidenced by a certificate of analysis or statement. If the police believe that you were driving at some point, but when they stopped the vehicle, you were no longer driving, it is still possible to prosecute or if the police are able to show that there was a likelihood of you driving the vehicle. You do not have to be sitting in the driver’s seat to be “in charge”. There is no legal definition for the term “in charge” so each case will depend on its exact circumstances and facts. Generally, a defendant is “in charge” if he was the owner/in possession of the vehicle or had recently driven it. He is not in charge if it is being driven by another person or is “a great distance” from the vehicle. Yes. The road Traffic Act 1988 s.36, Traffic Signs Regulations and General Directions regs 10 & 26 &The Highway Code rule 129 explains how to overtake a cyclist safely and legally. Double white lines where the line nearest you is solid means you must not cross or straddle it unless it is safe and you need to enter adjoining premises or a side road. You may cross the line if necessary, provided the road is clear, to pass a stationary vehicle, or overtake a pedal cycle, horse or road maintenance vehicle, if they are travelling at 10 mph (16 km/h) or less. If you are caught driving without insurance because you believed your employer had insured you and they hadn’t, you can be prosecuted. However, you may be able to provide a defence to this. The defendant must prove on the balance of probabilities that the vehicle did not belong to him and was not in his possession under a contract of hire or loan and that he was using it in the course of his employment and that he did not know or have reason to believe that there was no insurance in place for that vehicle. It is a bonus if your employer is prepared to give evidence to this effect, but they are not always willing to due to the risk of them being prosecuted themselves. The magistrate may exercise discretion if it can be shown that the driver has a genuine and honest belief that he was insured and had reasonable grounds for believing that he was insured (Rennison v Knowler 1947). A VDR notice is issued by officers when they determine that the vehicle has a defect that may pose a safety risk to the driver or members of the public. To comply with this notice, the recipient is responsible for getting the defect on the vehicle rectified at a reputable garage within 14 days and providing proof that the defect has been rectified. Failure to comply with the VDR notice may result in prosecution. Fixed Penalty Notices (FPN’s) are an administrative alternative to prosecution before the magistrates’ court. Depending on the offence, the fixed penalty notice may also require the endorsement of penalty points on your driving license. They are issued at the discretion of the police and once you have complied with the terms of the notice you cannot be prosecuted before a magistrates’ court for the same offence. It is an offence to misuse fog lamps which attracts a £30 non-endorseable fixed penalty notice, although this may soon rise to £50. An example of misuse would be to operate fog lights despite visibility being greater than 100 metres. It may be the case that your insurance cover will be jeopardised if you decide to admit liability for a road traffic collision. It is commonplace that insurers require that in accordance with your policy, you do not admit liability for road traffic collisions even if you believe you are at fault. There are trained professionals appointed to investigate road traffic collision. In order to assess whether a party was at fault. This combined with a statement provided to your insurer will help make sure that liability is not prematurely or incorrectly admitted. An insurer should consider the interests of their own clients and those who the client affects through any wrongdoing. While the law is clear that the level of compensation awarded must reflect the facts and circumstances of each case, if there is an overwhelming reason to not appeal an award made to an injured victim, this should be made clear to the insurer in the hope that they might reconsider such an appeal as in the above case. Your insurer may state in their terms and conditions that they are free to manage cases such as the above example in a manner deemed to be in their best interests. While policies may differ between insurers, it may be prudent to clarify this with your insurer who would be best placed to advice on this. Were you not to receive a satisfactory answer, it may be wise to raise this problem with them or search for cover with a different provider with a more desirable case-management policy. The Road Traffic Act implies that members of the public should stop for a police officer in uniform. The police advise that if there are serious concerns over whether a police car is genuine, then drive slowly and appropriately to somewhere that’s either well lit or populated such as a garage, somewhere where other people are present. The police understand that there could be some difficulties if an unmarked police car attempts to pull you over. If a vehicle does not stop for an unmarked police car, the officers in that unmarked car would usually call for a marked car to come and assist so that the authenticity of the police is made clearer. Established over 20 years ago, and with over 5,000 recovery trucks on call 24/7, we have a proven track record of providing efficient, reliable breakdown cover. We handpick only the best local mechanics and garages around Britain to send out if you break down. We believe this way of working is efficient, environmentally friendly and helps support local communities and economies, too. On top of this, we offset the carbon emissions of the recovery trucks that go out to assist you, reducing the impact your breakdown has on our environment. We also support the ETA Trust, a charity we set up in 1994 to campaign for a safer, cleaner transport future.